Timaiya “Na’Fear” Peak is the author spotlight of the day! Life is made up of joy and pain. While some of us get to the point to where we want to give up, Na’fear decided to use his pain as inspiration, motivation, and determination to progress in life. He tells his story in his book “Inspired By Pain.” Timaiya Peak is an author, musician, father, husband, and a responsible man. His book is $15.00 and is available on amazon and on his website www.nafear.com. 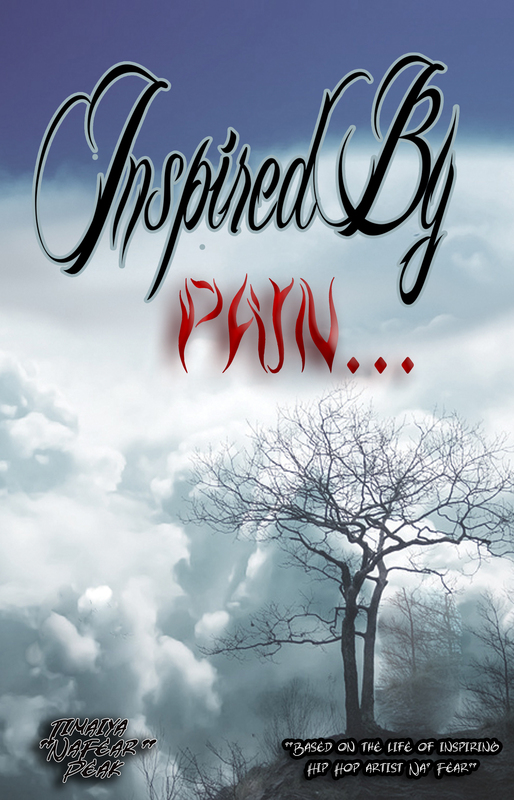 His book “Inspired by Pain” is an autobiography that will capture you and take you on an emotional roller coaster, from the first page to the last. This book is a must read and may offer answers to some of the struggles that you may face today. We can benefit from reading this book and seeing how he overcame hardships and pain. Na’Fear grew up in the rough streets of Wilmington, Delaware. As a child he was forced to overcome adversity that many don’t live to tell. His name Na’Fear is symbolic of having no fear or being able to function through life’s many difficult challenges. He represents the city of Wilmington to the fullest. In 2003 he titled of his first hip hop cd “City of Wilmington.” Throughout his cd he shared some of the many experiences that he faced while growing up in the city. Due to some of the choices which he made, he ended up in prison. After serving time in prison, he realized that he wanted more out of life. Na’Fear came home determined to accomplish several goals that he set. The first thing that he did was be a dad. He then went on to earn a College degree. He is now raising his family with his loving wife. He currently works with troubled teenagers in an attempt to steer them in the right direction. His story is inspirational!To learn more about Na’Fear to go his website @ www.nafear.com.